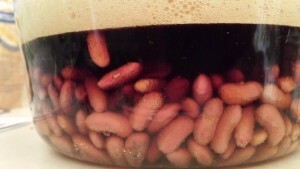 24 hours prior to assembly, soak the white beans and kidney beans in MobCraft Bat$hit Crazy. 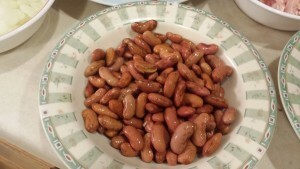 The beans should double in size. 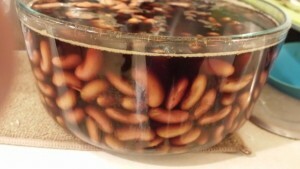 Now if you are lazy, just buy canned beans and skip this step all together! 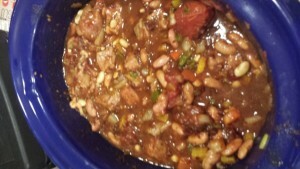 The Day of chili assembly, drain the beans and add into a large crock pot. 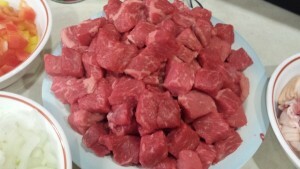 Place cubed beef in a large ziplock bag and coat with flour. On medium high heat, coat a large pan with olive oil and sear the meat. When seared, place into crock pot. On medium high heat, coat a large pan with olive oil add in the bell peppers, jalapeno peppers, habanero peppers, garlic and onion. Season with chipotle chili powder, cumin, and white pepper. 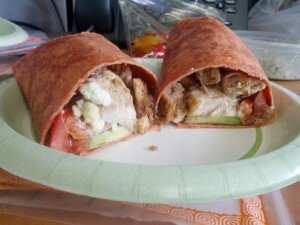 Cook for 5 – 10 minutes, and then place them into the crock pot. 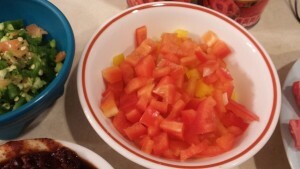 Add chipotle peppers, bacon, stewed tomatoes, tomato paste and lemon juice into the crock pot. 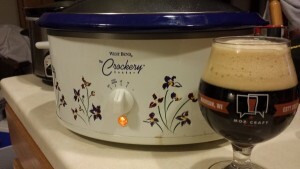 Add MobCraft Bat$hit Crazy into the crock pot. 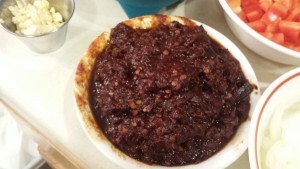 Add a table spoon of baking cocoa, a touch of coriander and top with cumin and chipotle chili powder. Cook on high for 4 – 6 hours, or on low for 8 – 10 hours. 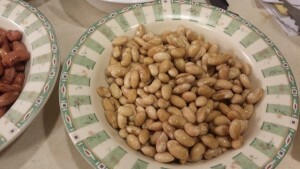 If cooking on low, it may take a little longer for the beans to fully cook and soften. That’s it! 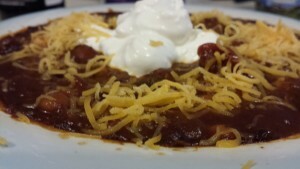 Serve with a scoop of sour cream, shredded cheddar, and a chilled Mobcraft Bat$hit Crazy to wash it down. Enjoy! Add olive oil to a medium/high pan. 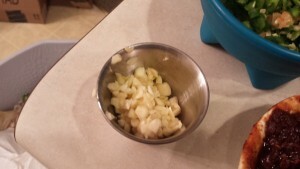 Add in garlic and onions. Season with Todd’s Dirt. 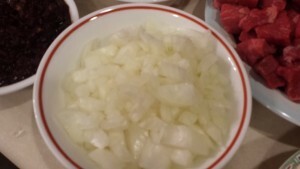 Cook onions until they are caramelized. When onions are caramelized, add in chicken broth and bring to boil. 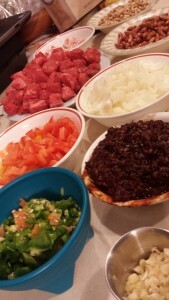 Place mixture into 9 x 13 dish, and cover with foil to maintain moisture. Bake for 20 minutes, then uncover and bake for another 5 – 10 minutes. This stuffing is bound to knock your socks off, so enjoy! 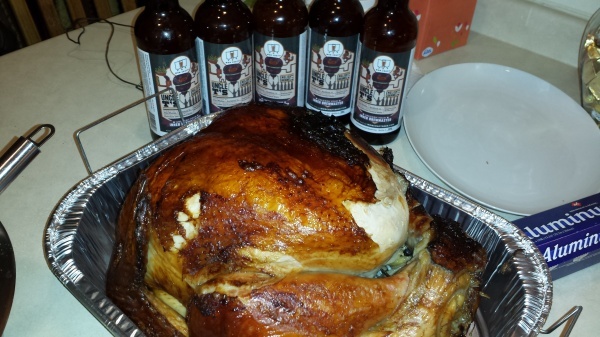 Who can say no to a beer brined turkey? I know I couldn’t! 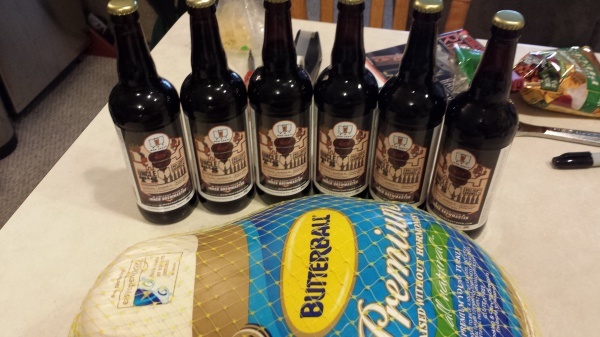 Find your favorite craft beer to help add some flavor to your bird! 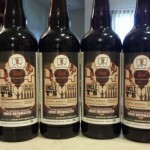 The trick is to find something malty that is full or flavor. 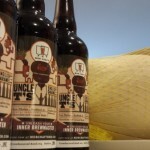 For this recipe, I chose MobCraft’s latest crowdsourced beer, Uncle T’s! 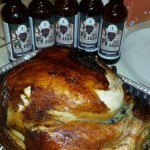 It is a English Caramel Ale that has a great flavor profile that added some nice flavors to the bird! 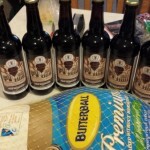 This recipe was used on a 24lb bird, you can cut back as needed on the beer/water amounts for a smaller bird. 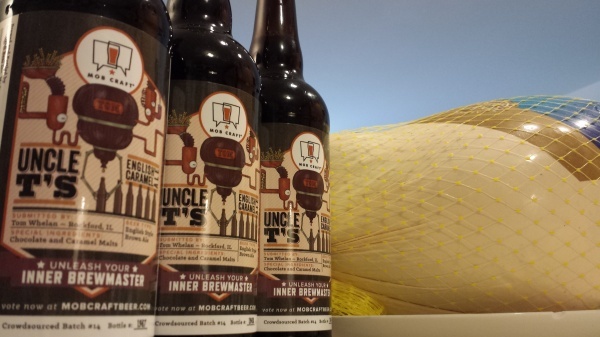 5 22.5oz bottles of MobCraft’s Uncle T’s (Or your favorite craft beer). 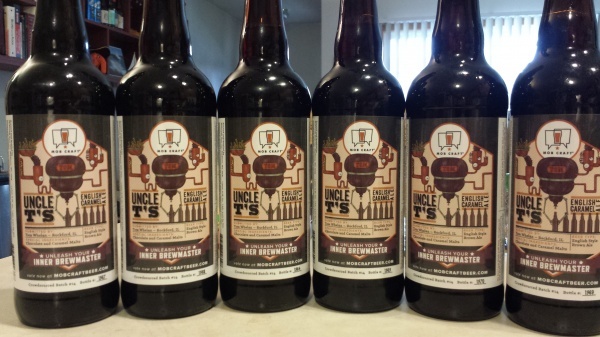 The goal here is to choose one that is flavorful and malty to impart flavor into the bird. 1 bunch of celery, cut in half. Bring the chicken broth to a boil. Add in onions and garlic. 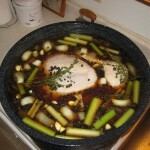 Reduce heat to simmer, cook for 5 – 10 minutes. 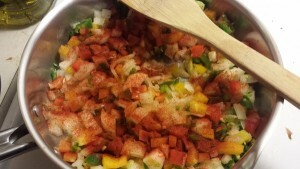 In large container, mix in the broth mixture above, celery and spices. Fill a gallon pitcher or container with water, and dissolve the salt. 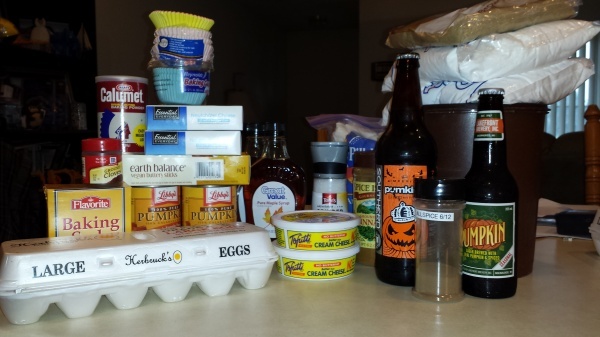 Once dissolved, add it into the large container. I typically dissolve 1 cup of salt per gallon of water. Alternate adding beer and salt water mixture to the large container until the turkey has been fully submerged. Make sure everything is well mixed together, and rotate the turkey a few times to make sure its in full contact with the brine. 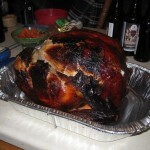 Leave turkey in brine for 18 – 24 hours before cooking/roasting. 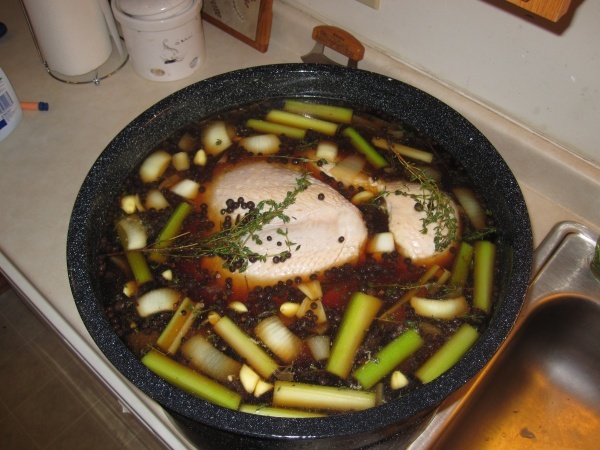 It’s important to make sure that the turkey is fully thawed before starting the brining process. 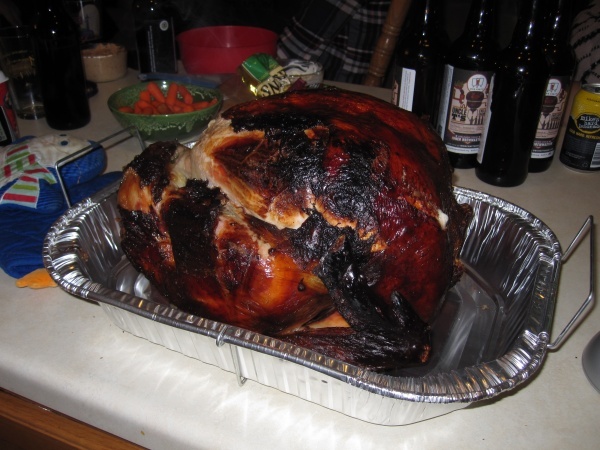 Using a frozen or partially frozen turkey will not yield expected results. 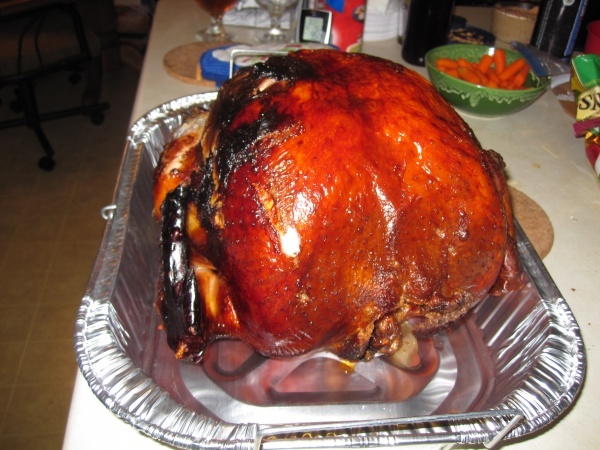 While brining the turkey, it’s also important to make sure you keep it at a food safe temperature. My preferred cooking method is with the Char-Broil Big Easy Infrared Cooker. 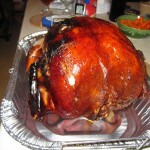 This will produce one of the best and juiciest turkeys you have ever had! Cook times in the Big Easy are typically 10 minutes per pound, but can vary slightly pending the outside environment. 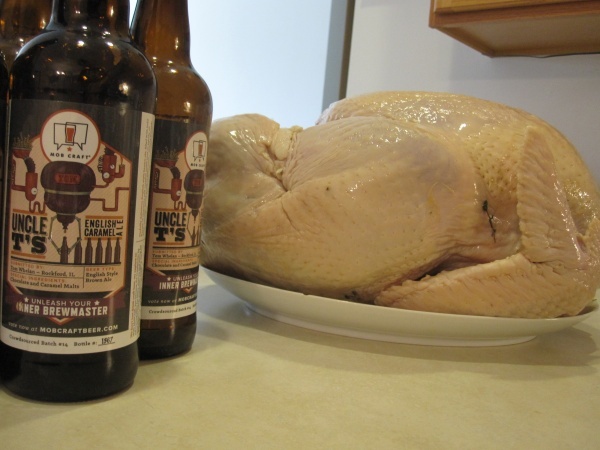 That’s pretty much it – enjoy your beer brined turkey! You won’t be disappointed! Happy cooking! 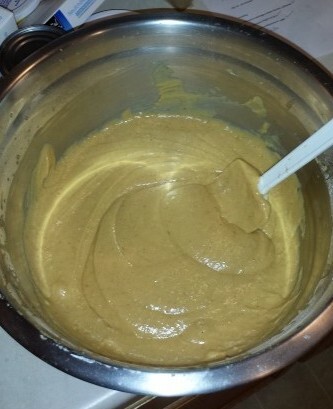 In large bowl, mix together spices, flour, baking soda, baking power and sugars. 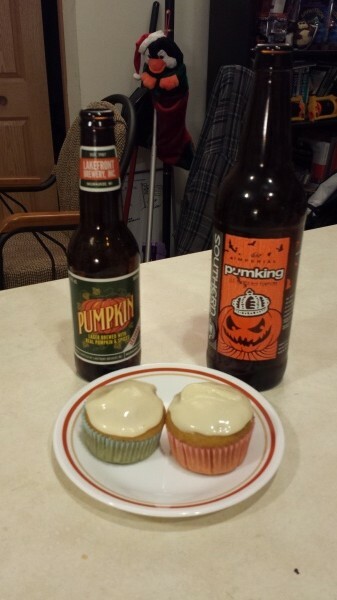 In medium bowl, mix together melted butter, pumpkin puree, eggs and beer. Pour the medium bowl into the flour mixture, and stir until blended. Mix will be thick. Fill muffin tins – should make about 24. Bake for 20 – 25 minutes, or until toothpick comes out clean. Combine cream cheese, maple syrup and butter in a large bowl (or mixer). Slowing mix in the sugar, adjusting as necessary. If necessary, add additional maple syrup. Once muffins have cooled complete, cover with frosting and enjoy! Remove stems from all mushrooms. With a spoon, hollow out the mushroom. Soften goat cheese, and mix together with all additional ingredients and spices. 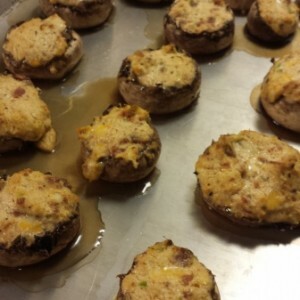 Spoon goat cheese mixture into hollowed out mushrooms. Take note that the filling will expand slightly when cooked, and the mushrooms will shrink – do not overfill. 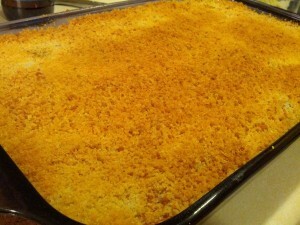 Bake in oven for 15 – 20 minutes. Alternatively, mushrooms can be wrapped individually in foil and placed on a grill. These can have a kick and they also freeze well. Enjoy! 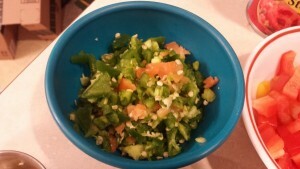 Prepare Quinoa according to box directions – and place in large bowl. Grill chicken breasts (cover in olive oil and your favorite seasoning). Once complete, dice and place in large bowl. Wash and chop the spinach and add to Quinoa mixture. 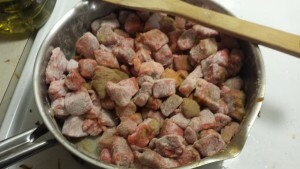 In large sauce pan, add in flour and butter – mix together until a paste forms. Mix in whole milk, and bring to boil. Be sure to continuously stir. Once boiling, slowly stir in the cheddar and pepper jack cheese until melted. Once cheese sauce mixture is melted and smooth, remove from heat and poor into the large bowl containing the Quinoa mixture. Mix everything together and add in Todd’s Low Down Dirt (or your favorite seasoning). Remove from heat, let sit for a few minutes and enjoy! 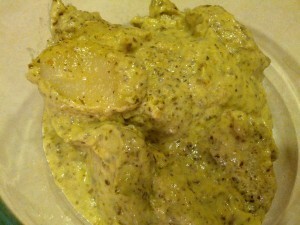 Mix Alfredo sauce and pesto sauce together in sauce pan until warm. That’s it! Eat and Enjoy! Great lazy and tasty meal! In large ziplock bag, add olive oil and Todd’s Crabby Dirt. Toss in carrots and mix them around until they are all coated. 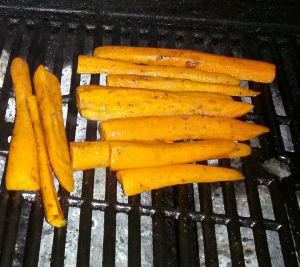 Place on grill and cook until carrots are soft. Great side, loaded with flavor! Lightly cover the chicken breasts with olive oil, and then season with Kickin’ Chicken Seasoning (or your favorite seasoning). Place on grill on medium heat – roughly 6 minutes per side. Dice the grilled chicken and place in a bowl. In large stock pot, prepare 2 gallons of stock. 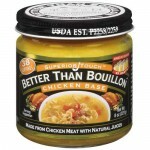 I use Better than Bouillon – add the correct amounts according to the jar directions. As the stock is warming up, chop the celery, peel and chop the carrots and dice the onions. When the Stock is ready place on medium heat, add in the vegetables, fresh garlic to taste, freshly chopped Thyme and Todd’s Original dirt. 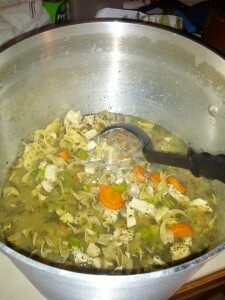 When the carrots and celery are soft, add in the egg noddles and grilled chicken. Cook for another 15 – 20 minutes, or until noodles are cooked. This soup has a nice level of heat to it, and is delicious on a warm winter day. Enjoy! Season and grill the chicken breast. 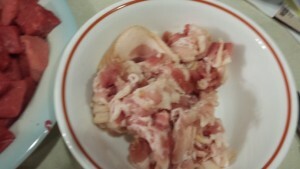 Once complete, shred or dice the chicken. 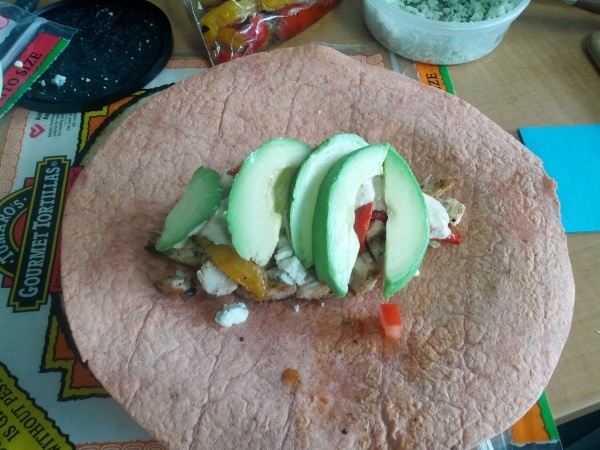 Fold tortilla, cut in half and enjoy! This is packed with flavor and easy to make. To spice things up, considering adding pineapple or even teriyaki sauce (Suggested by Rochelle). Enjoy!